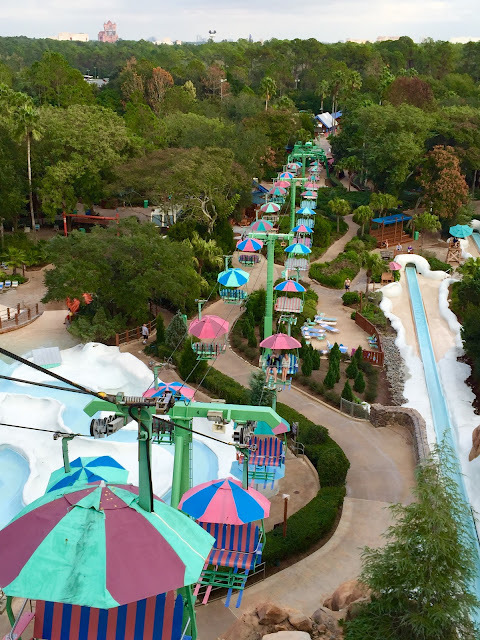 Today we say happy 20th birthday to Blizzard Beach. This very popular destination opened on April 1st, 1995. It is typically one of the top three water parks in the World for yearly attendance. However, if you visit in the middle of winter, you could have the park to yourself. I took this picture in December when the temperature was about 70 degrees. There were very few other guests in the entire place. You can see the chair lift as well as the Summit Plummet slide in the shot. If you look off in the distance at the top of the trees, you will also see Tower of Terror.